This is a terrific book by Sam Wineburg, Daisy Martin, and Chauncey Monte-Sano. 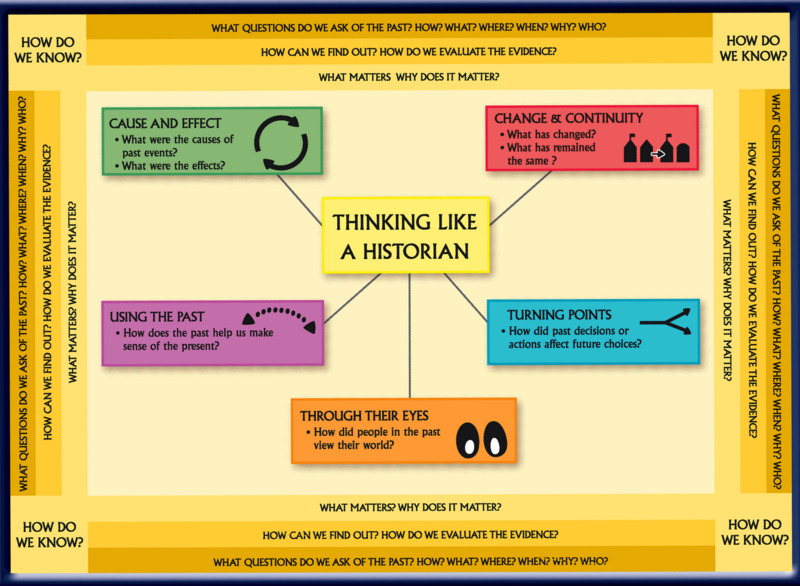 It gives us strategies and examples for teaching history in middle school and high school. 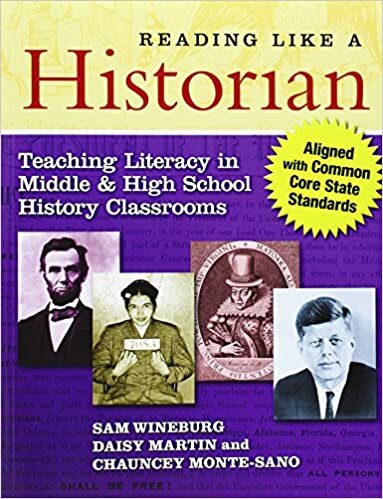 The book takes eight situations from American History, providing readings and comparing how high school students viewed the readings with how graduate students in history who were specializing in areas other than American History viewed the readings. 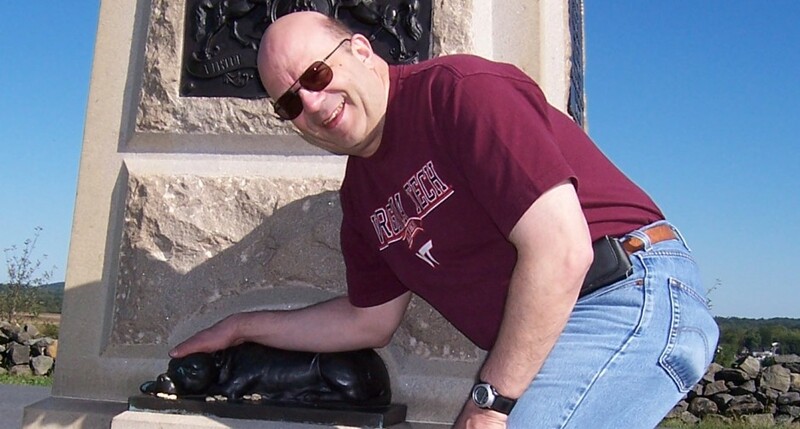 The graduate students were trained in historical thinking, and even though they were also not specialists in American History they were able to dissect the readings and determine the salient points that needed to be understood. Each chapter begins with an introductory essay and provides primary sources to evaluate along with sample questions for discussion and suggestions for further research. In each introductory essay, we learn how the graduate students approached the topic and that’s contrasted with how the high school students approached it. 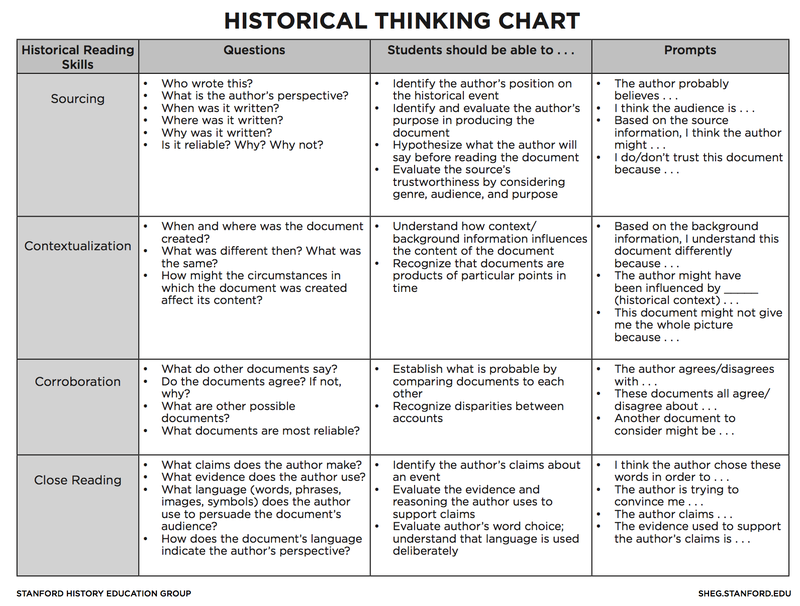 This is extremely useful for teachers, but students of history can also profit greatly by learning this information and applying it in their own reading. It also helps develop critical thinking skills that can be applied almost anywhere.